Even Slater was surprised he won. 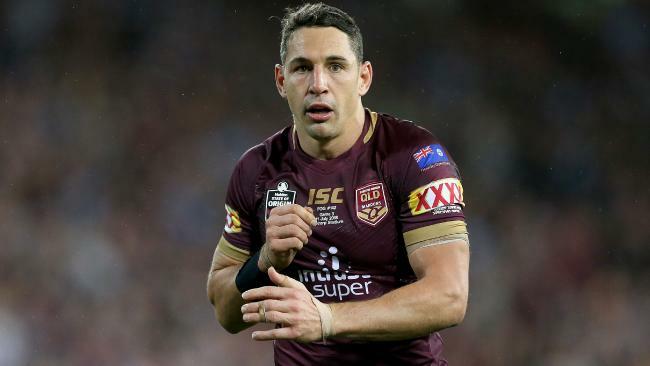 THE furore over Billy Slater receiving the Wally Lewis Medal for player of the series after Origin this year won't die down as Darren Lockyer admitted the voting process "can be done better". Lockyer - alongside fellow Australian selectors Mal Meninga and Laurie Daley - voted to give Slater the man of the match award after Queensland's 18-12 win over NSW in game three, and also anointed him player of the series. 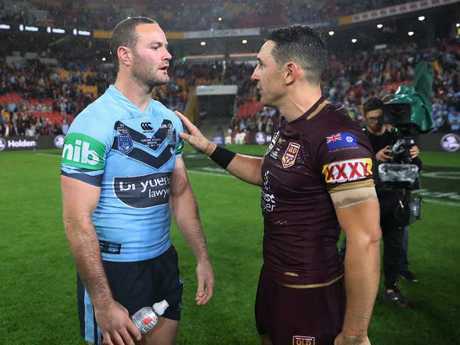 The decision sparked a fierce backlash among the rugby league community as some labelled it a "farce" given Slater had only played two of the three games in a series won by the Blues. Slater's best performance came in game two, but NSW still emerged victorious in Sydney on that occasion. Many suggested Slater only received the Wally Lewis Medal as a sentimental parting gift because Wednesday night's match was his last ever Origin appearance, having earlier announced his decision to retire from representative footy after the series. Each of the three selectors gives out votes to players on a 4-3-2-1 basis after every Origin match. But contrary to what has been reported, when those votes are tallied at the end of the series, the final numbers act only as a guide as to who should be crowned player of the series. Speaking on the Footy Show, Lockyer said NSW fullback James Tedesco was man of the match in game one and Blues captain Boyd Cordner was man of the match in game two, but Slater still finished well ahead of every other player in the voting - a remarkable achievement considering his side only won one of the two matches he played. Lockyer said although the Australian selectors took that into consideration, they still believed Slater was deserving of the honour. 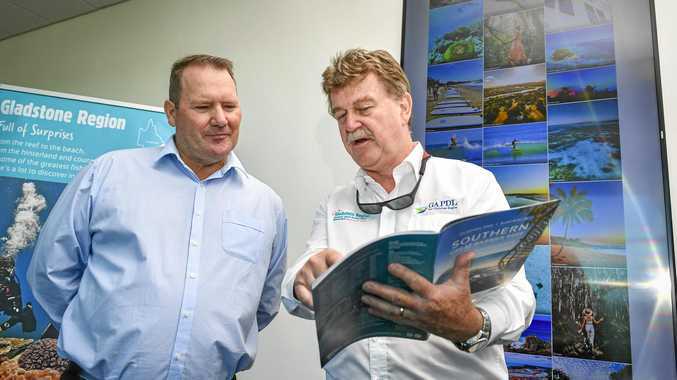 "We're not going to disclose everyone's points but the gap between Billy and the next person was quite significant, and we had to make a call that if we were going to give it to Bill," Lockyer said. "He was in a team that lost the series and only played two games but we thought the gap was significant enough to then award the medal to Billy. "We were sure that that wasn't always going to be popular, particularly below the border but we've got to live by that decision and we'll stand by it." Lockyer backed a review of the process, which was flagged on Thursday by NRL CEO Todd Greenberg, saying the lack of time the judges have to consider the series as a whole when making their decision is an issue that should be addressed. "We want to get to a point where the system is fair and honest, which I think it is now, but can it be done a little bit better? Possibly. I think a review by the NRL will be a good thing," Lockyer said. "There's not a lot of time between after the game and the ceremony so you've got to think pretty quickly. "What we'll learn out of this is it can be done better. "It's a shame it's taken the gloss off the game and Billy and I think it can be done better but at the same time the three of us stand by our decision." Following the outcry, Greenberg said he was "surprised" Slater received the gong and suggested the league would look to improve the system, but defended Lockyer, Meninga and Daley. "If there's a better system we can look at, we're always open to it. We review everything at the end of an Origin series, so I'm sure that will be part of it," Greenberg said. "But what you can't question is the integrity of the three people making the decision, and you can't question the capacity they have to judge that themselves as three people who played the game at the highest level." Boyd Cordner believes a New South Welshman deserved to be crowned man of the series. Former Blues skipper Paul Gallen was critical of the decision during Channel 9's telecast on Wednesday night and on Thursday Cordner expressed his surprise his victorious teammates were overlooked. "I was a bit surprised to be honest, given he (Slater) played two out of the three games and lost the second game," Cordner told the Triple M Grill Team. "He did play fantastic, don't get me wrong, but I truly believe that it should have gone to one of our players. "Probably the two that come off the top of my head are Tommy Trbojevic - I thought he had a really good series on the wing, he was one of our best players every game and also James Tedesco.